You may not be aware that ransomware attacks are on the rise — and they’re quickly covering more ground while also getting more destructive. Take for example, the worldwide malware attack in June of last year that struck businesses all over the world. And many of these businesses were big brand names like FedEx, for example. Other big agencies that were targeted included Maersk, the Danish shipping firm, and Rosneft, an oil and gas company out of Russia. The consequences of such a breach can cause a breakdown in communication systems, a complete disruption of business, and lost or stolen data. So how do hackers achieve their cyberattacks? They use ransomware. back, or in other cases, removing a virus that has completed disrupted a company’s day-to-day operations. The virus that a hacker expels into a computer or database is what does the dirty work. It’s the kidnapper and the one causing all the calamity. Once the virus is in, only the hacker can remove it. In other words, today’s typical ransomware encrypts files and requires a ransom to unlock. But that might be about to change. The problem is that hackers are getting better and better at developing and easily implementing ransomware viruses that can target any and all businesses no matter how big or small. If you are a small to medium business owner, you need to be aware of how ransomware functions and how to protect yourself against predatory hacker attacks that may be on the horizon. Everything is smart these days: smart phones, smart watches, smart TVs, smart refrigerators, smart security functions, smart cars, and on and on. The truth is that all of these smart products are vulnerable to ransomware. A restaurant owner who stores food in a smart fridge could end up the victim of a hacker who actually turns off the smart fridge until a ransom is paid. Many of the products we use today are made in factories all over the world, and some of these factories utilize artificial intelligence (AI). Some of these businesses can expect to be the victim of hackers who will have the ability to “take over” the AI. In the future, we can expect social media blackmail using ransomware. Whether social media is used for personal or business purposes, the chances of any platform getting hacked is high when there are no precautions taken. 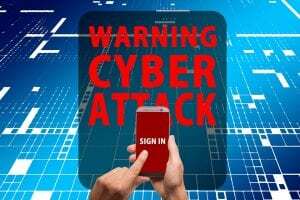 This can be especially damaging to businesses who rely on a brand image and who have their social media channels taken over by a hacker with nefarious intent. As a business owner it never hurts to be protected from future ransomware attacks. With Business IT Support from Xact IT Solutions, we protect you against these cyber attacks with state-of-the-art network security services. To learn more about keeping your business safe from criminals, contact us today at 1-800-483-1460. Newsletter Signup – Get tips like this in your Inbox!